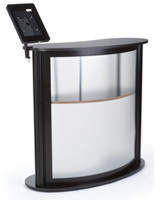 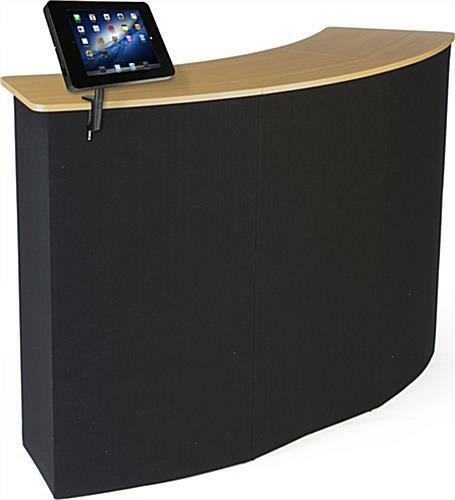 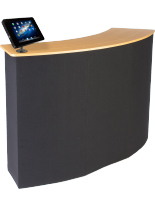 This trade show countertop with tablet stand is affordable, due to MDF construction, but makes an upscale presentation with a wood-type finish. 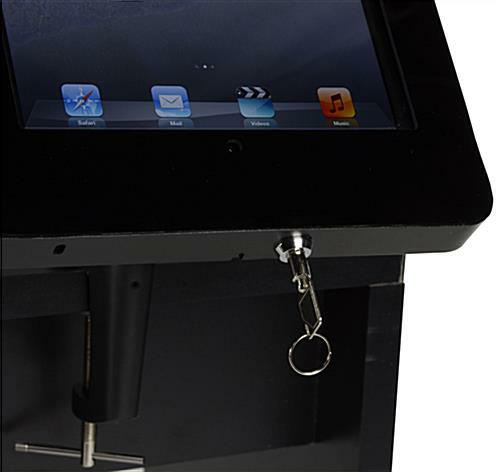 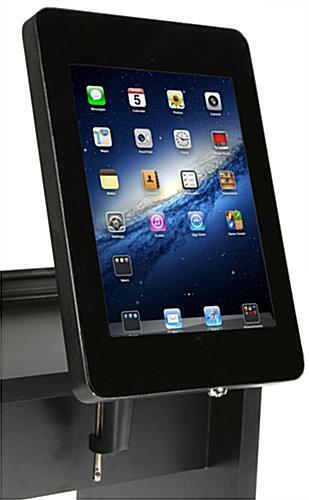 The cabinet has an adjustable clamping enclosure for promotional events for Apple® generations 2, 3 and 4. 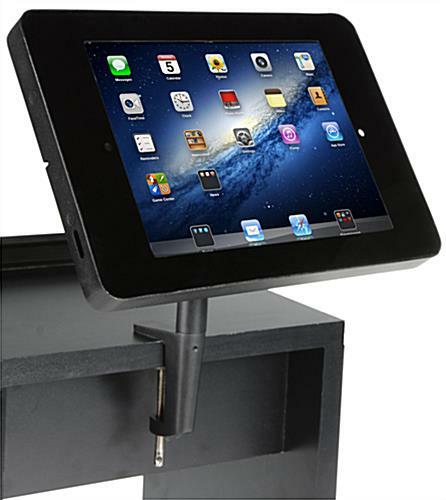 This trade show countertop with tablet stand, also known as a table and technology clamp, has a black finish that complements the silver aluminum truss. 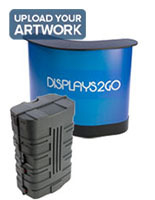 Optional black hook and loop receptive fabric holds posters and other advertisements to reinforce company messaging. 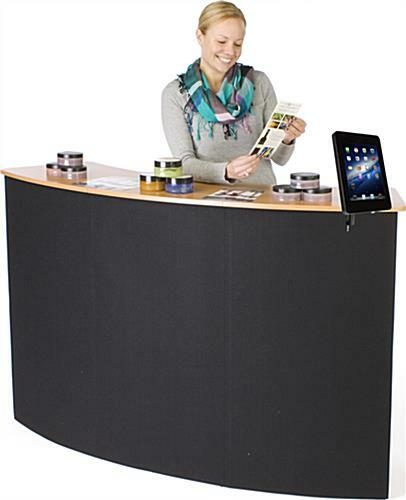 Each of these inteteractive mobile tables with wheels and a carry strap is perfect for conventions. 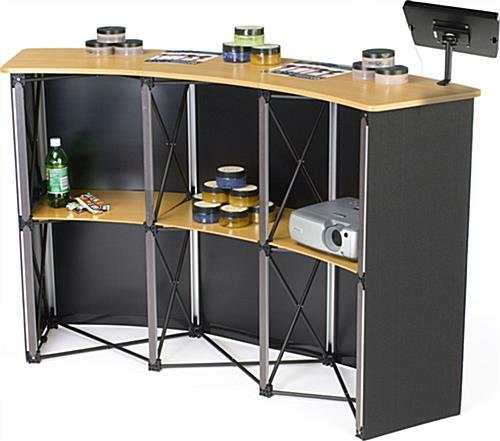 The black finish of the bracket complements both the silver aluminum structure of the table and the black fabric. 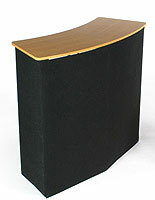 The counter is sized 61-1/2”W x 37-1/2”H x 19-1/2”D. 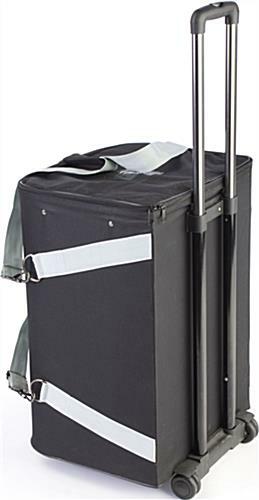 61.5" x 37.5" x 19.5"
18.0" x 26.0" x 15.0"